What a coincidence! The Lures are from Seattle, and I live in the Seattle area. Moreover, they hail from the neighborhood known as Ballard, and I was in Ballard Saturday night. So me and Lures are like old friends, right? Well, not quite. I learned of the band via a tip from the fine lads in Zebra Hunt, whose superb new album we reviewed last week (link). The link was to the band's live performance of "Vacant" at Jupiter Studios. "Vacant" is a fine bit of surf/indie rock, and I instantly concluded that the video should be shared on the blog. I also discovered (all by myself -- just try to find a WYMA intern on a weekend, or a weekday for that matter) that the song is on their self-titled album that was released last October. So, Dillon M., Spencer M., and Sam P., show your thanks to the Zebra Hunt mob for the tip (I believe a beer is legal tender in Ballard, and I'm a lawyer so that probably is correct). What Lures offers you is well-crafted post punk with surf accents and brooding baritone vocals. The performances are highly professional but the arrangements are loose, allowing for bits of space to accent the music. And "Walking the Cow" is just balls out fun. If I understand correctly, Lures were on of the bands on Tacoma, Washington's Fin label. Unfortunately, the label crashed last year, leaving the band to self-release their debut album. Lures - "Vacant" (Live At Jupiter Studios) from Fin Records on Vimeo. 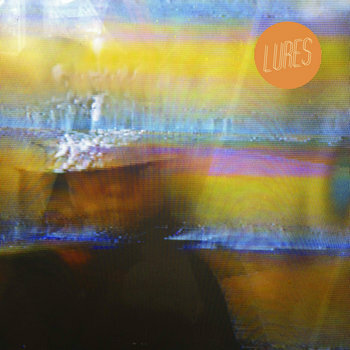 Lures is available as a digital download or on vinyl. Source at the Bandcamp link.